Nina Browning is living the good life after marrying into Nashville’s elite. More recently, her husband made a fortune selling his tech business, and their adored son has been accepted to Princeton. Yet sometimes the middle-class small-town girl in Nina wonders if she’s strayed from the person she once was. Tom Volpe is a single dad working multiple jobs while struggling to raise his headstrong daughter, Lyla. His road has been lonely, long, and hard, but he finally starts to relax after Lyla earns a scholarship to Windsor Academy, Nashville’s most prestigious private school. Amid so much wealth and privilege, Lyla doesn’t always fit in—and her overprotective father doesn’t help—but in most ways, she’s a typical teenaged girl, happy and thriving. Then, one photograph, snapped in a drunken moment at a party, changes everything. As the image spreads like wildfire, the Windsor community is instantly polarized, buzzing with controversy and assigning blame. At the heart of the lies and scandal, Tom, Nina, and Lyla are forced together—all questioning their closest relationships, asking themselves who they really are, and searching for the courage to live a life of true meaning. 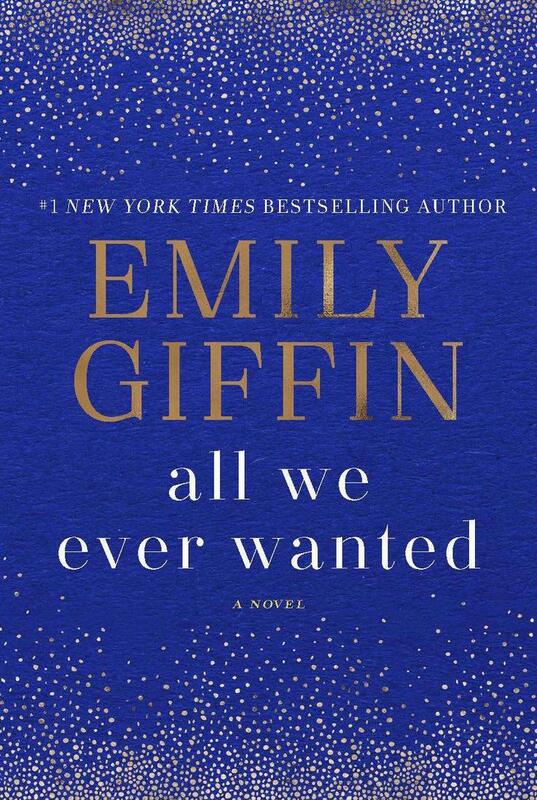 EMILY GIFFIN is the author of nine internationally bestselling novels: Something Borrowed, Something Blue, Baby Proof, Love the One You're With, Heart of the Matter, Where We Belong, The One & Only, First Comes Love and All We Ever Wanted. A graduate of Wake Forest University and the University of Virginia School of Law, she lives in Atlanta with her husband and three children.